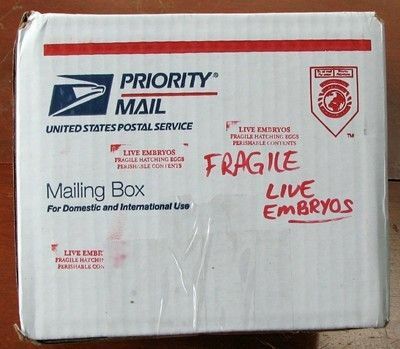 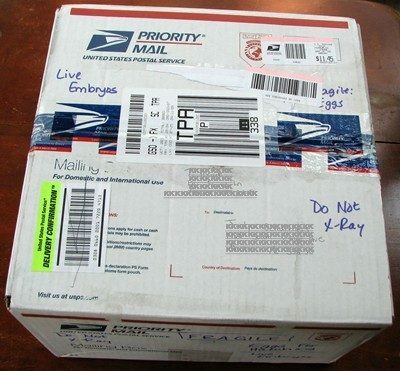 I have ordered some fertilized eggs via Priority Mail, and the package should arrive in the next several days. 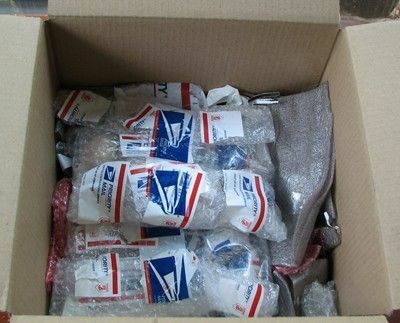 Thank you so much for taking the time to call me when they arrive (I know how busy you must always be!). 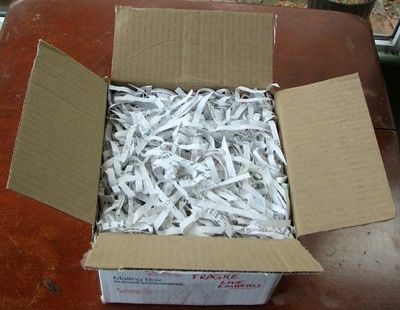 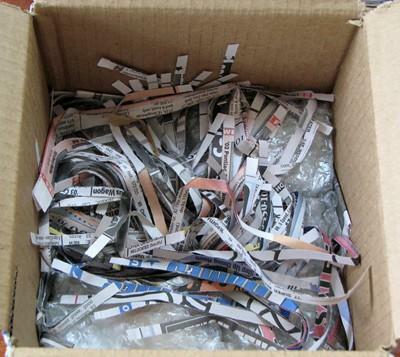 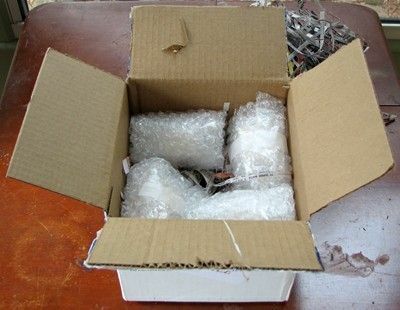 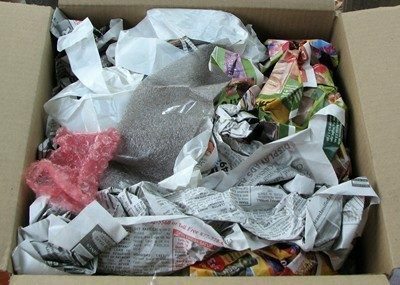 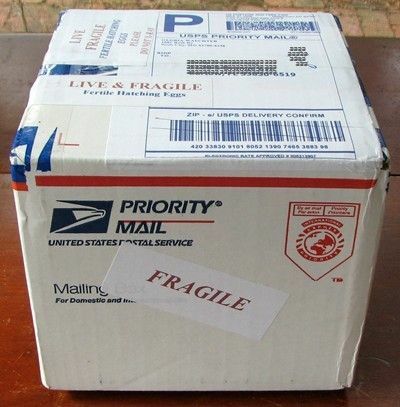 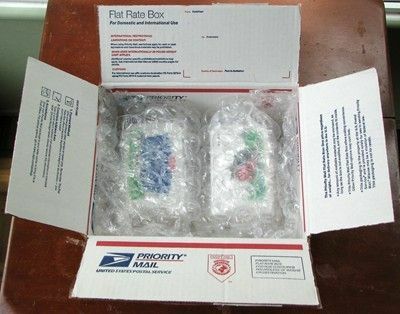 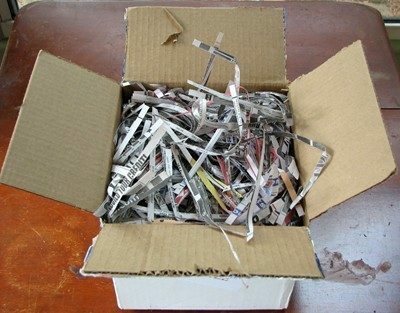 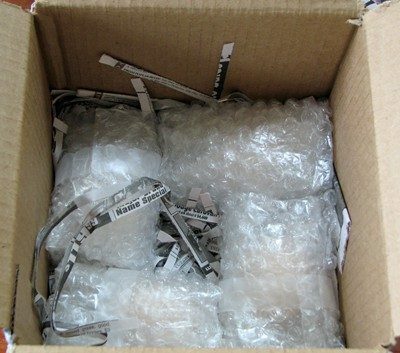 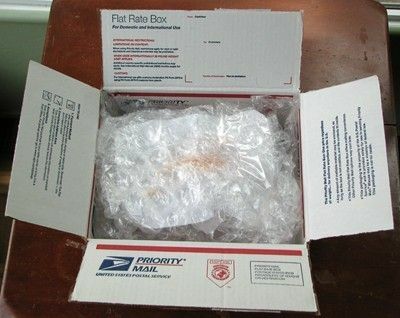 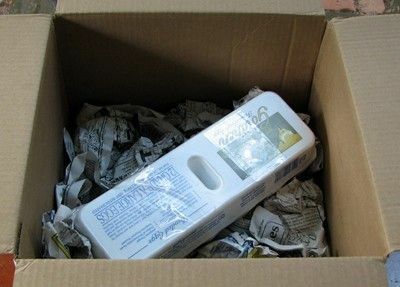 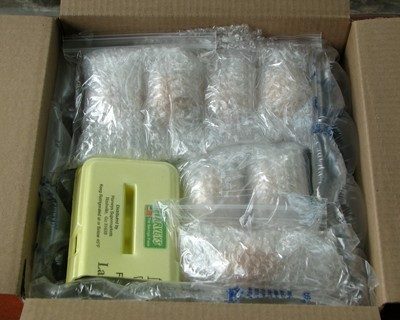 Nothing compares to the wonderful feeling you get when opening your very first shipment of fertilized eggs; it's better than Christmas morning! 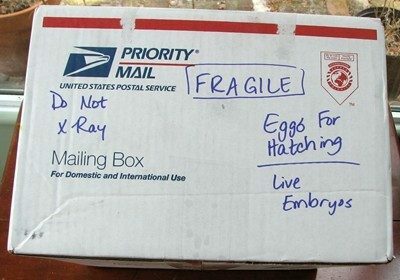 All eggs arrived safe & sound! 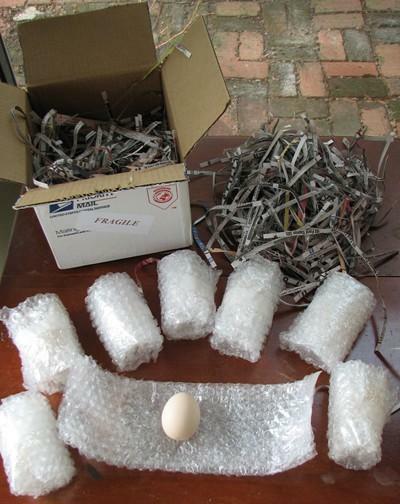 Great packing job & great eggs...I even received extras! 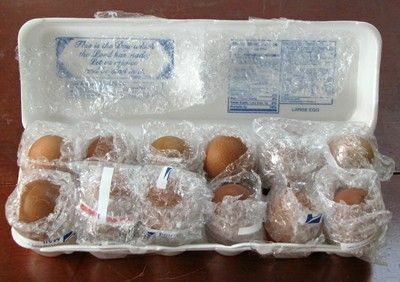 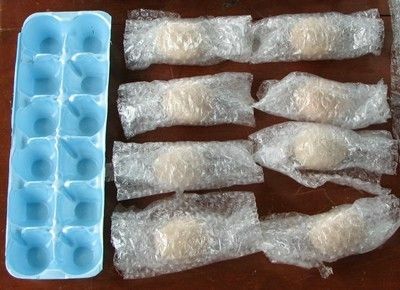 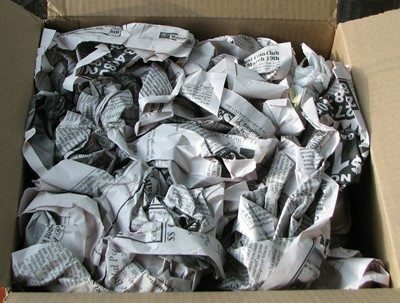 Please note: Although some eggs arrived broken, the eggs were individually bubble wrapped & packaged with great care; sometimes, despite our best efforts, eggs still are broken in shipments! 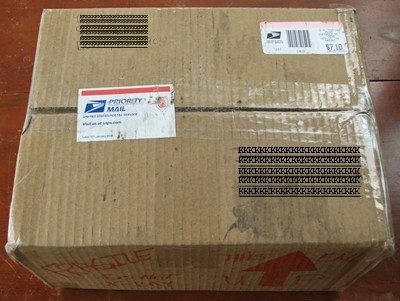 Pumpkinpup is a wonderful seller! 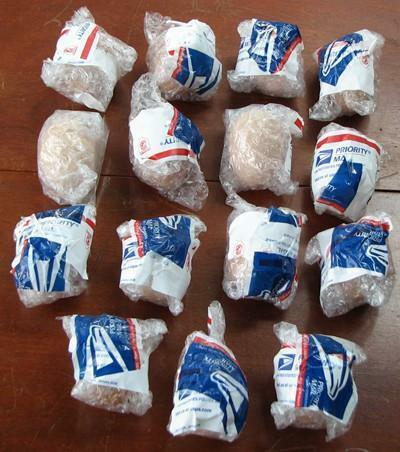 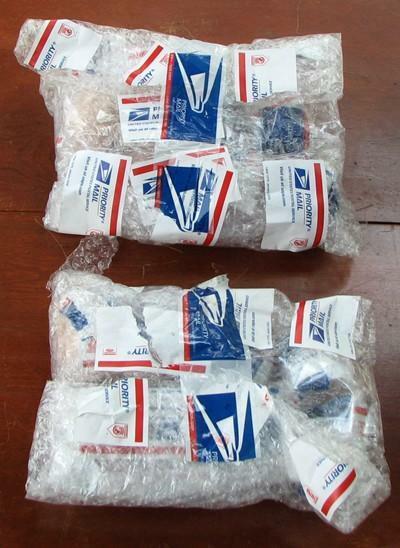 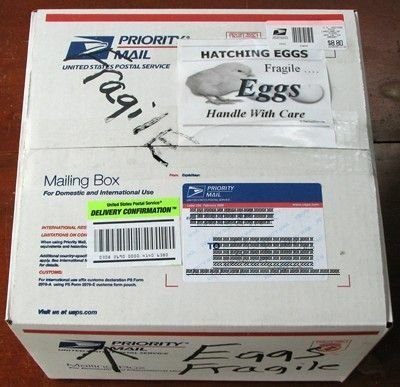 The post office called at 8:14am this morning to let me know some of my egg shipments arrived. 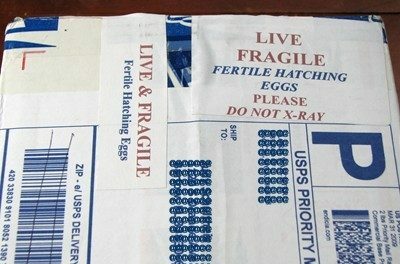 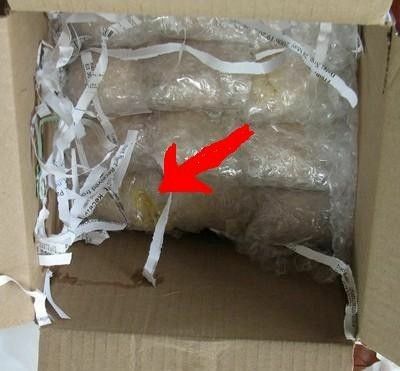 Upon opening this package, I realized these eggs must have endured a rough journey. 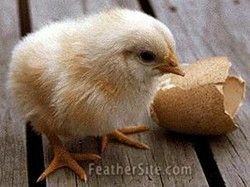 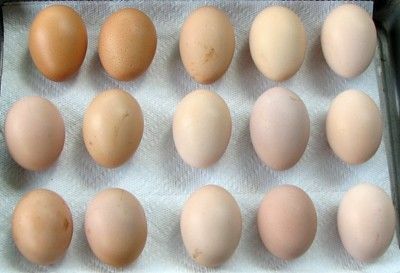 In all, 8 of 24 Silkie eggs were broken. 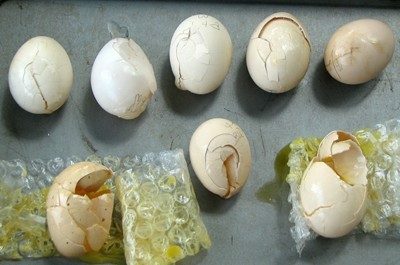 Of the 16 that remained intact, 5 had egg white ooze (from the broken eggs) that dried up on their shells after I unwrapped them. 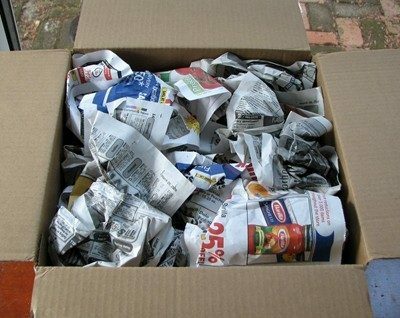 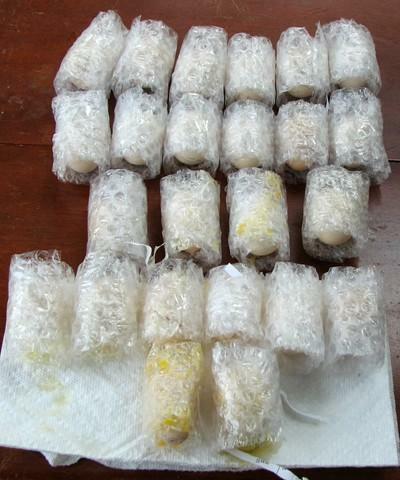 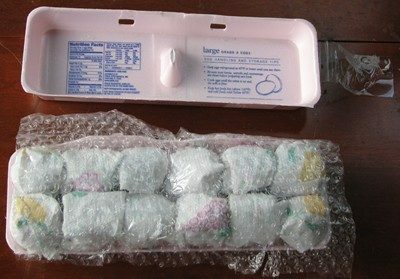 Although some were broken, you could tell that the eggs had been packaged well; I think sometimes shipped eggs must end up at the bottom of a very large stack of heavy packages (maybe a brick shipment!) 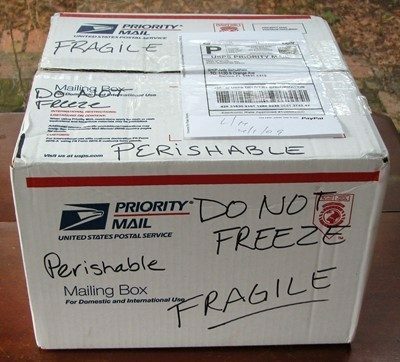 while in transit. 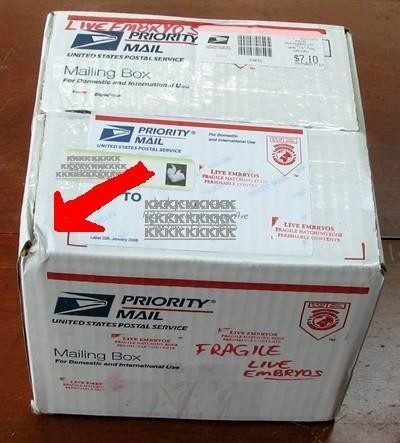 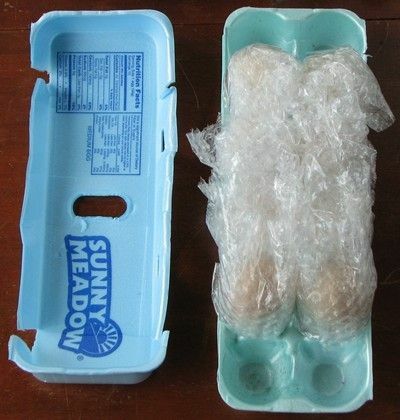 A small dent on the lower left corner of the box matched up to the inside corner where the worst of the broken eggs were found. 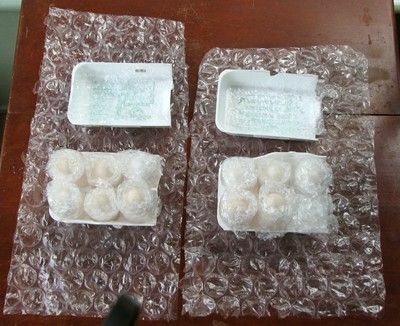 I wasn't sure what to do with the eggs that had dried broken egg ooze on them (I was concerned about bacteria growth), so I asked Pumpkinpup, the nice BYCer who shipped them (she was very upset that some eggs had broken, but I assured her I had plenty). 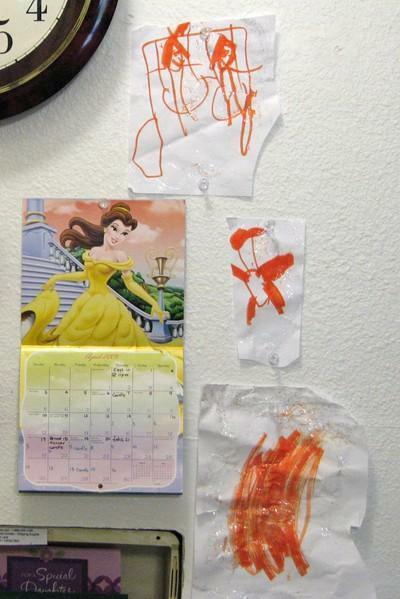 She suggested wiping them with a warm, wet cloth. 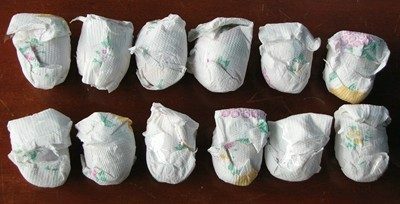 I also found some info online. 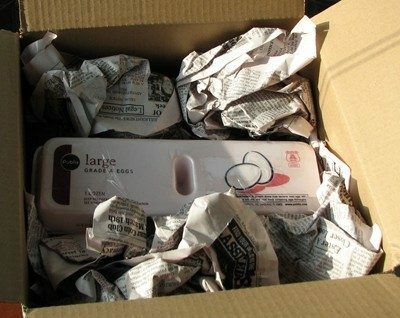 I washed them, marked them as "washed", and I'll keep a close eye (and nose!) 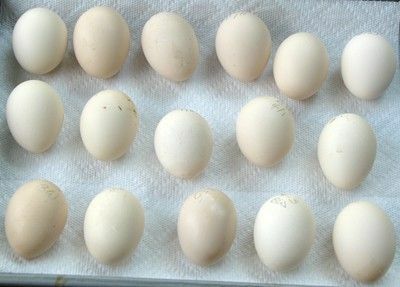 on them as they incubate. 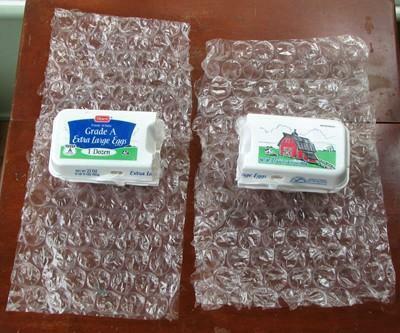 If they show any signs of contamination, I'll toss them immediately. 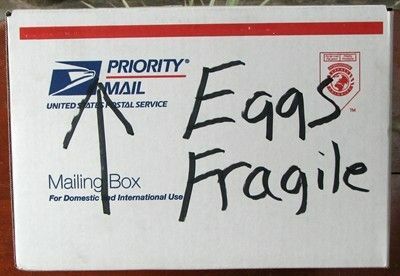 My second shipment of eggs arrived intact. 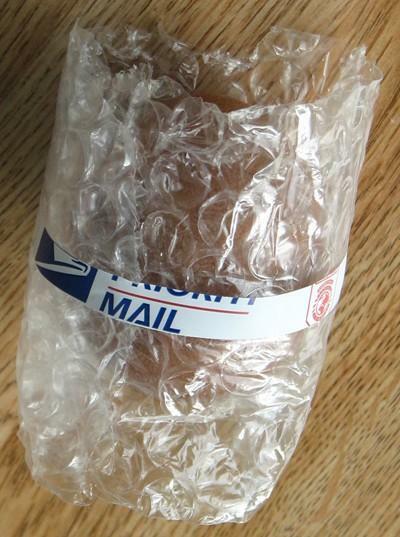 Also packaged with great care, Shortcake1806 even sent three extras! 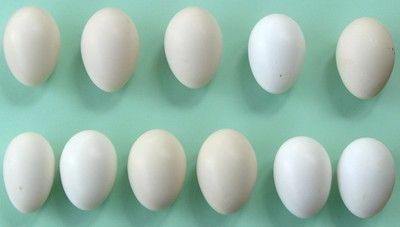 These delaware eggs are a nice size. 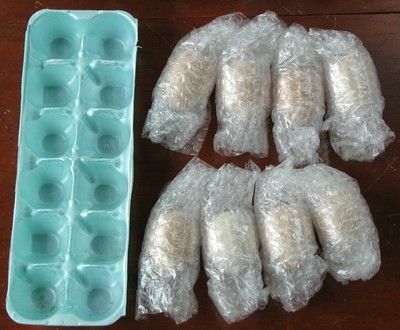 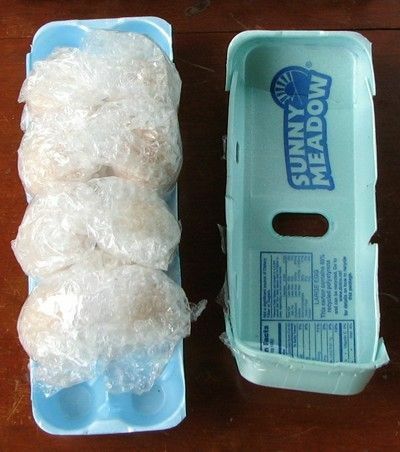 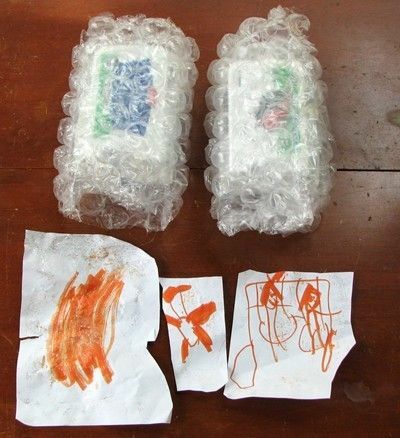 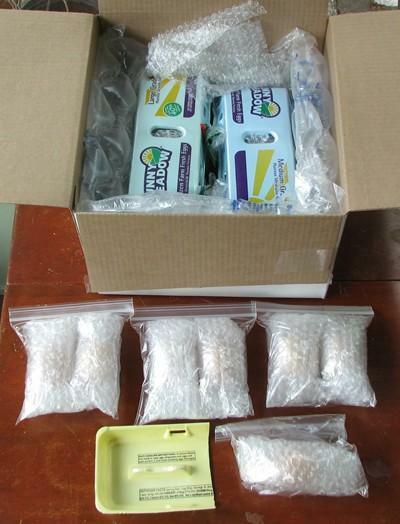 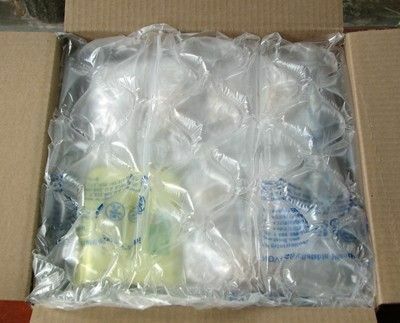 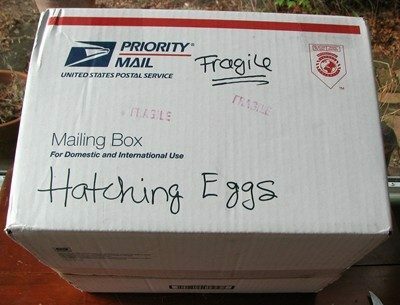 Beautiful packing job along with beautiful eggs! 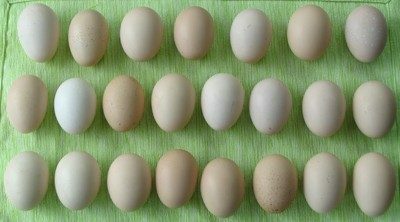 I purchased these beautiful Welsummer eggs at our BYC Central Florida Swap Meet in Bushnell, Florida. 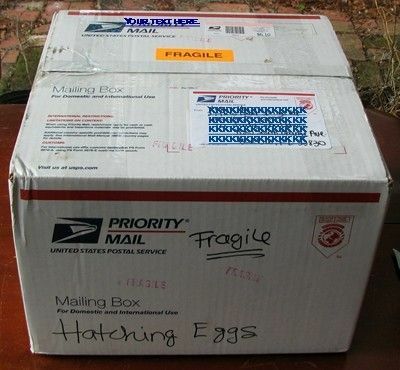 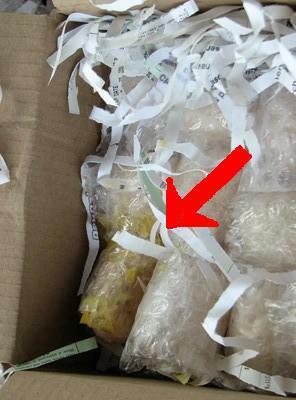 Beautiful packing job; all eggs arrived safe & sound! 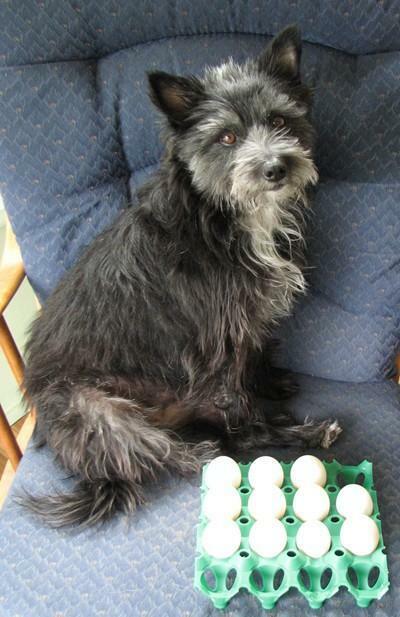 I ordered 12 eggs, and William sent 11 (yes, 11!) 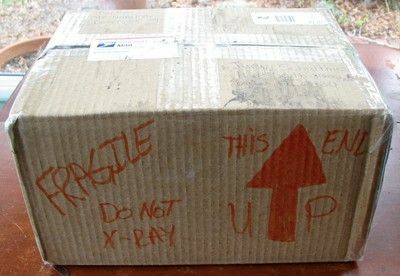 extras!